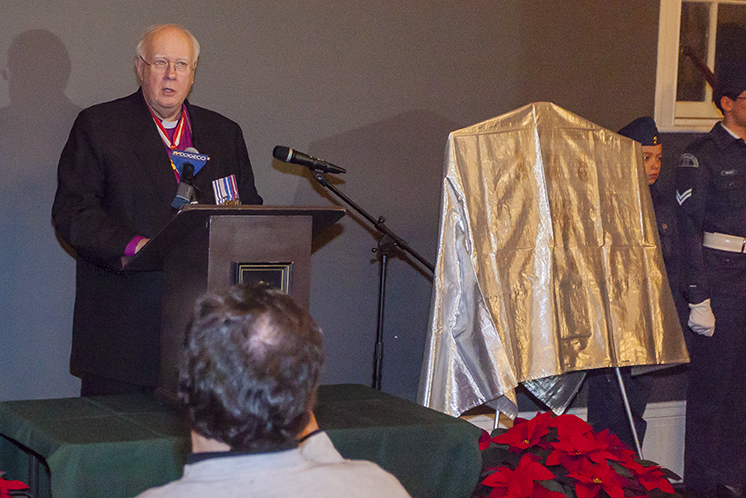 Remembering the burning of the Town of Niagara on the Lake and the unveiling of a new Coat of Arms and Flag. Hundreds gathered in front of the old Courthouse on Queen Street to see a multi media presentation recreating the burning of the Town on December 10, 1813. Video images were projected onto the front of the Old Courthouse giving the impression the building was on fire. Also that week was the unveiling of a new Coat Of Arms and Flag for the Town. 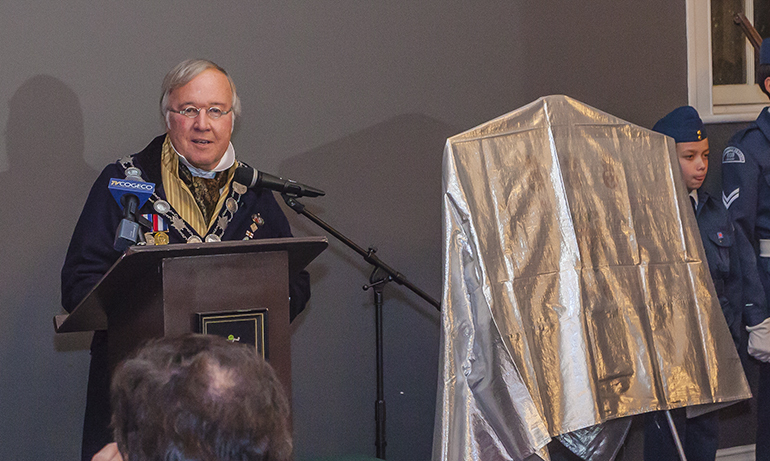 Lord Mayor David Eke prepares to unveil the new Coat Of Arms and Flag. Official Documentation had just arrived on the day of the unveiling. Bishop Ralph Spence Read the official proclamation before the unveiling. After the unveiling Bishop Spence explained the design of both the Coat Of Arms and the Flag.